Attend the BUILD YOUR FUTURE event, Feb. 14. An average working day for a plumber, electrician, or carpenter–what’s it like? Unless you have a family member or friend in the trade, you probably don’t know. On February 14, the Southfield Pavilion will welcome the BUILD YOUR FUTURE Skilled Trades event to showcase smart, accessible careers in a wide variety of skilled trades including drywall installation, painting, HVAC, information technology, construction, mechanical contracting, and much more. As many as 30 booths will feature companies, unions, technical education centers, and community colleges, all offering actual opportunities to interact with aspects of the trades represented. Here, you can ask questions to learn more about what that average working day in a skilled trade is really like. Informational booths from Oakland County Michigan Works Southfield, Southfield Public Library, Easter Seals, Jewish Vocational Center, U of D Cybersecurity and many others will round out the experience, which is open to students and those of any age who are looking to establish a new career path with the potential to earn a good salary. The event is open to the public from 6:00 p.m. until 7:30 p.m. on February 14. Training or an apprenticeship in the skilled trades can be a fast track to a stable career that is always in demand, says Dignan, who encourages everyone to make time to attend the evening event. 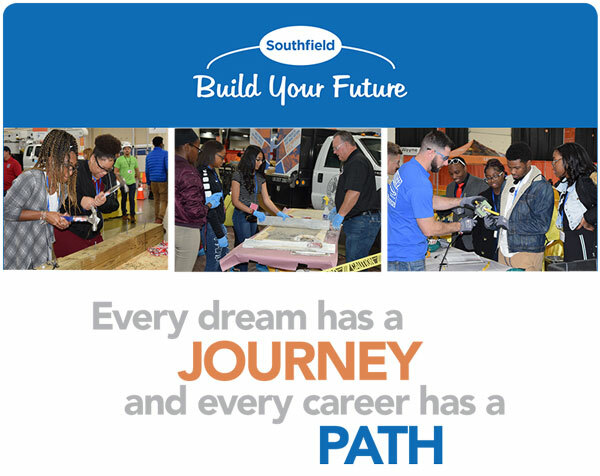 Attend the SOUTHFIELD BUILD YOUR FUTURE event on Thursday, February 14, from 6:00-7:30 p.m. at the Southfield Pavilion, 26000 Evergreen Road.